You can't build excellent credit overnight, but there are some strategies you can use to build your credit relatively quickly. 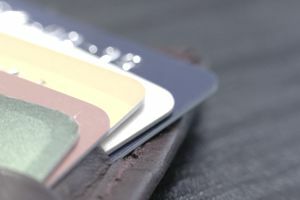 The fastest way to build credit is to be intentional about how you approach every credit account, focusing on building a positive payment history and avoiding damaging credit mistakes. Also, if you're just starting to build your credit from scratch, it will take at least six months before you have a credit score at all. The credit scoring algorithm needs you to have at least one account active for a minimum of six months before it can generate a credit score for you. Become an authorized user on someone else's credit card. Being an authorized user means you have the ability to use another person's credit card, but not the responsibility of making payments. Once you're an authorized user, the entire account history is added to your credit report and factored into your credit score. If you're added to someone's credit card, it should ideally be a friend or family member's account with a low balance and no history of late payments. Get a secured credit card or two, with a higher credit limit you can afford. A secured credit card is easier to get approved for if you can control the credit limit on a secured credit card by paying a higher security deposit. Being responsible with bigger credit limits will help boost your credit score and allow you to qualify for unsecured credit cards with high credit limits. Make sure you pay on time each month. Once you have accounts of your own, paying on time is the best thing you can do to build a good credit score. Payment history is the biggest factor influencing your credit score. The more on-time payments you have, the better. On the plus side, you only need to make the minimum payment for your payment to be considered on time, so aim to pay at least the minimum by the due date each month. Keep your credit card balances low. The second biggest factor that affects your credit score is the amount of debt you're carrying. Keeping your credit card balance under 30 percent of the credit limit is ideal for building credit. Any negative information on your credit report can make it harder to build your credit. For example, if you have old debt collections or other unpaid bills hurting your score, it's best to take care of these before you start trying to improve your credit score. Your right to an accurate credit report allows you to dispute errors with the credit bureaus. You can find out if there are errors on your credit report by checking yours for free through AnnualCreditReport.com. If you spot errors, you can write to the credit bureaus asking them to remove inaccurate items from your credit report. If you have proof of the error, send a copy to help support your claim. (Keep the original for your own records). While you're working to build your credit as quickly, you want to avoid mistakes that could backfire. Avoid taking on too many credit cards at one time in an attempt to build your credit score quickly. Having lots of credit cards won't make your credit score shoot through the roof. In fact, opening too many credit cards in a short amount of time can hurt your credit score in the short term. Not only that, taking on more credit cards than you can handle puts you at risk of late payments, a move that will definitely hurt your credit score. Stay away from purchasing tradelines. Some credit repair companies claim they can help you improve your credit score by selling you tradelines—accounts with well-established credit histories that you can just add your name to for a quick credit boost. Credit scoring companies are sophisticated enough to tell when you're a legitimate authorized user on an account from a relative and when you've been added to an account for the sole purpose of boosting your credit score. Keep in mind, building your credit involves you demonstrating that you can handle credit responsibly. Having open, active accounts that you're paying on time is the fastest way to build your credit. What Happens When You Skip Monthly Payments? What Makes Credit Card Companies Target College Students?